This course is for the person who is thinking about getting started in keeping honey bees as a hobby offering the opportunity to decide if beekeeping is something that a person wants to do and providing basic information on how to maintain a colony successfully the first year. 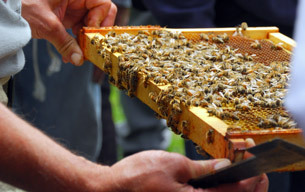 Courses are usually offered through a local beekeeping organization or bee supply company. If assistance is needed in locating a course, contact master@wasba.org.